Shingles and chickenpox are two painful skin conditions that have been plaguing humanity since at least the 1500s, when the first cases were recorded by doctors. While neither is typically fatal in otherwise healthy people, both can persist over extended periods and, in extreme cases, can lead to permanent scarring. Even though both of these conditions present sufferers with unique sets of symptoms, they’re actually much more related than you might think. Here’s a look at both chickenpox and shingles and what they share in common. Chickenpox is a relatively common virus that causes people to break out in rashes and blisters across the entire body. While this condition is most common in children, people of any age can contract it, especially those with a compromised immune system—such as pregnant women, the elderly, and people with immune disorders. Contracting the virus is quite easy, since it’s airborne and can be transmitted through a simple sneeze or cough. Additionally, it’s also possible to contract the virus by coming into contact with blister fluid. 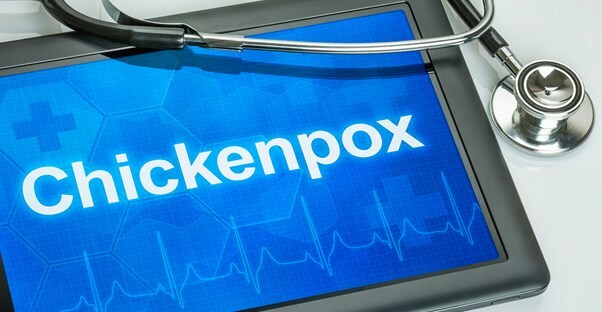 Chickenpox is rarely a fatal disease, but it is generally more severe for adults, who are at a higher risk of death due to secondary complications like pneumonia and hepatitis. Thankfully, with the advent of the chickenpox vaccine, the infection rate has dropped significantly. Shingles is a painful condition that causes a burning, painful rash in small strips across the body. As the condition progresses, the rash turns into blisters which may take weeks to dissipate. Additionally, shingles may begin with symptoms that are seemingly unrelated—such as headaches, light sensitivity, and flu-like symptoms. This condition is also viral and nature and most commonly affects older adults, especially those with a compromised immune system. While shingles is normally not life-threatening, it can be extremely painful and may last longer than a month. How are these conditions connected? Chickenpox and shingles are both caused by the same virus: varicella-zoster. When a child recovers from chickenpox, the body doesn’t completely eliminate this virus, but instead it lays dormant. Later in life, the virus may become active once again, and this is why almost every person with shingles had chickenpox as a child. However, if you’ve never had chickenpox, it’s still recommended that you get a shingles vaccine, since exposure to anyone with either condition can cause you to become infected.